The 2012 CHCCS/SCDHM Achievement Award of the Canadian Human Computer Communications Society is presented jointly to Daniel Thalmann and Nadia Magnenat Thalmann in recognition of their pioneering work in the development of lifelike, synthetic human models for computer animation. In giving this award the Canadian Human Computer Communications Society recognizes that it is honoring only a portion of the rich legacy of these two researchers, both jointly and individually. Their output approaches a thousand scholarly articles, contributions to numerous books, and over sixty short films. So it is with some apology that we are choosing to focus only on their joint efforts in physical modeling and computer animation that they have directed towards developing realistic virtual actors. They began this work in the 1980s at the University of Montréal in Quebec, and they have continued since 1988 at the University of Geneva in Switzerland, for Nadia, at the École Polytechnique Fédérale de Lausanne (EPFL) in Switzerland, for Daniel, and more recently at the Institute for Media Innovation, at the Nanyang Technological University (NTU) in Singapore, for both. Professor Nadia Magnenat Thalmann is currently Director of the research laboratory MIRALab, at the University of Geneva and Director of the Institute for Media Innovation, at NTU in Singapore. Her formal training includes a PhD in Quantum Physics (1977) from the University of Geneva, two Postgraduate Certificates in Computer Science, one jointly in Mathematics (1977) from EPFL, Switzerland, and one jointly in Statistics (1975) from the University of Geneva, and three Master’s degrees, in Biochemistry (1972), Biology (1966), and Psychology (1966) from the University of Geneva. She has been given two honorary doctorates, one from Leibniz University of Hannover in Germany (2009) and another one from Ottawa University in Canada (2011). 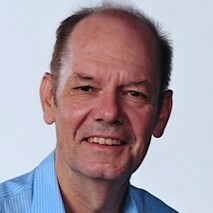 Professor Daniel Thalmann is now with the Institute for Media Innovation, at NTU in Singapore. He was Director of The Virtual Reality Lab at EPFL until 2011. His formal training includes a PhD in Computer Science (1977) from the University of Geneva, a combined Certificate in Statistics and Computer Science (1972) from the University of Geneva, and a Master degree in Nuclear Physics (1970) from the University of Geneva. He has also been given an honorary doctorate (2003) from the University Paul-Sabatier in Toulouse, France. Daniel and Nadia arrived in Canada in 1977, and by 1979 they had taken positions as Assistant Professors at the University of Montréal, where Nadia founded MIRALab. They became interested in the realistic computer modeling and rendering of the human form, in motion, including lifelike facial expressions. Their films began with “Dream Flight” in 1982 (in cooperation with Philippe Bergeron), which provided them with the basic experience in making a computer generated short film using a wire-frame synthetic actor and key-framing. This was followed by “Rendez-vous à Montréal,” which is widely regarded as the first computer film to employ synthetic actors, in this case Humphrey Bogart and Marylin Monroe. By this time they had developed a more complete system for key-framing body motion, body representation with smooth surfaces, and the beginnings of infrastructure for animating facial expressions. Some of their students and collaborators, Philippe Bergeron, Pierre Lachapelle, Daniel Langlois and Pierre Robidoux, built upon this groundwork to produce the film “Tony de Peltrie,” shown at SIGGRAPH ’85, which gained wide acclaim as the first film in which a synthetic actor was able to convey complex emotions. Above all else, Nadia and Daniel served in a major way as a focus and inspiration for the use of computers in animation that flourished in the Montréal area in the 1980s, a time of great activity that saw computer animation interest by the National Film Board, headquartered in Montréal, and the founding of successful commercial enterprises in that city to develop modeling and animation systems. By the mid-1980s, Nadia and Daniel had begun to confront more difficult issues in creating lifelike synthetic actors. Their publications engaged mathematical tools for dynamics, better surface models suitable for faces and hands, the animation of realistically deformable objects, and more naturalistically articulated skeleta and joints. They had also begun spreading their ideas throughout Canada and beyond by chairing conferences, notably Graphics Interface ’85, and through editorial positions, notably for the The Visual Computer and the Journal of Computer Animation and Virtual Worlds. In 1989 they moved back to Switzerland to take positions at the University of Geneva and École Polytechnique Fédérale de Lausanne. Nadia recreated MIRALab at the University of Geneva, while Daniel created The Virtual Reality Lab at EPFL, and the work begun in Canada progressed further in a European setting. In 1992 they founded the Computer Graphics Society with two other pioneers of computer graphics; Professors Rae Earnshaw (UK) and Tosiyasu L.Kunii (Japan). Through the society they founded four long running conference series; Computer Graphics International, Computer Animation, Pacific Graphics, and MultiMedia Modeling. The early 1990s saw Nadia publish papers on the physical modeling of cloth and the use of finite elements and operations tied to joints to address the clothing of synthetic actors and the realistic deformations of their bodies and limbs. Later in the 1990s, the physical modeling of hair was added to her repertoire as was the simulation of facial muscles through free-form deformations, as well as the synchronization of lips with speech. Daniel focused his research on behavioral animation of Virtual Humans, introducing the concept of synthetic vision for Virtual Humans, and developing methods for realistic gait modeling. The early 2000s saw Nadia and Daniel release VHD++, a real-time development framework for virtual character simulation, and they began exploring the techniques of motion capture and methods of registering the captured motion onto actors inside surrounding environments. The capture of motion led further Nadia to the use of medical data to enable more realistic 3D simulation of joint and skeletal models. Notable were her publications on studies of the hip joint via MRI scans, where she and her students received the first Eurographics medical award (2008). In the late 1990s, Daniel launched the first project on crowds of virtual humans, initiating a new field of animation that now attracts many researchers. Rendering of tens of thousands of agents, collision detection and generation of varieties of individual people became important issues. Nadia has progressed through various versions of a model for Marilyn Monroe, each more realistic than the last, and in 1995 the film “Marilyn by the Lake” is one of her first presentations of a virtual Marilyn appearing with live actors in an actual outdoor setting. Two films that combined the techniques that Nadia explored in cloth, hair, body, joint, environment placement, and character-character interaction were “Rêves d’un Mannequin” and “Virtual Life in Pompeii,” both directed in 2003. Nadia’s work on computer generated clothing led to the first virtual fashion show, and in 2007 she and her team in Geneva made an award winning movie, “High Fashion in Equations.” Tailored out of exquisite materials and artfully designed patterns, high fashion garments constitute the most sophisticated kind of clothing. The uniquely manufactured pieces, only affordable for a small circle of clientele, are not only envelopes for the human body, but artworks that make visible cultural aspects, tendencies and trends. Historical haute couture garments are characterized by an additional aspect: for time-specific garment details affiliated with certain époques to become evident, the complexity of the models used must become even greater than for ordinary garments. The research that both separately and together have done has now broadened to contribute not only to computer animation, but it currently explores how their results can assist in medicine by exploiting MRI data, how it may be used to recreate historical scenes, where the models can assist in the fashion industry, and what implications there are for Virtual Reality. Daniel and Nadia’s contributions have gone far beyond the release of short films and academic papers. Both have been active in organizing and chairing over fifty international graphics conferences as well as engaging in editorial duties for over a dozen international journals. The Canadian Human Computer Communications Society is happy to recognize that all this has flourished from beginnings at the University of Montréal and spread from there throughout the international community. Le Prix Réalisations exceptionnelles 2012 de la Société canadienne du dialogue humain-machine (SCDHM/CHCCS) est décerné conjointement à Daniel Thalmann et à Nadia Magnenat Thalmann en reconnaissance de leur travail de pionniers dans le développement de modèles d’humains de synthèse réalistes pour l’animation par ordinateur. En leur remettant ce prix, la Société canadienne du dialogue humain-machine sait qu’elle n’honore qu’une partie de l’inestimable héritage, à la fois collectif et individuel, de ces deux chercheurs. Ce dernier englobe environ un millier d’articles scientifiques, des contributions à de multiples ouvrages et plus de soixante courts-métrages. Vous nous excuserez donc de concentrer notre attention principalement sur les efforts qu’ils ont conjointement fournis en modélisation physique et en animation par ordinateur dans le but de créer des acteurs virtuels réalistes. Ils ont lancé leurs travaux dans les années 1980 à l’Université de Montréal au Québec avant de les poursuivre, dès 1988, à l’Université de Genève en Suisse, dans le cas de Nadia, et à l’École Polytechnique Fédérale de Lausanne (EPFL) en Suisse, dans celui de Daniel, et plus récemment pour les deux, à l’Institute for Media Innovation, de l’Université Technologique de Nanyang (NTU) à Singapour. La professeure Nadia Magnenat Thalmann est actuellement directrice du laboratoire de recherche MIRALab, à l’Université de Genève, et directrice de l’Institute for Media Innovation, à la NTU, à Singapour. Sa formation académique comprend un doctorat en physique quantique (1977) de l’Université de Genève, deux diplômes postgrade en informatique, dont l’un concernait également les mathématiques (1977) auprès de l’EPFL, Suisse, et l’autre la statistique (1975) auprès de l’Université de Genève, ainsi que trois maîtrises respectivement en biochimie (1972), en biologie (1966) et en psychologie (1966), toutes trois auprès de l’Université de Genève. Elle s’est vue décerner deux doctorats honorifiques, le premier par l’Université Leibniz d’Hanovre en Allemagne (2009) et le second par l’Université d’Ottawa au Canada (2011). Le professeur Daniel Thalmann œuvre désormais à l’Institute for Media Innovation à NTU à Singapour. Il a dirigé le Laboratoire de Réalité Virtuelle (VRlab) de l’EPFL jusqu’en 2011. Sa formation académique comprend un doctorat en informatique (1977) de l’Université de Genève (1977), un certificat universitaire combinant la statistique et l’informatique (1972) de l’Université de Genève ainsi qu’une maîtrise en physique nucléaire (1970) de l’Université de Genève. Il a également reçu un doctorat honorifique (2003) de l’Université Paul-Sabatier de Toulouse, en France. Daniel et Nadia ont débarqué au Canada en 1977 et, dès 1979, ils étaient tous deux professeurs adjoints à l’Université de Montréal où Nadia a fondé le MIRALab. Ils se sont pris d’intérêt pour la modélisation informatique réaliste de la forme humaine, notamment la modélisation d’expressions faciales semblables à celles des êtres humains. Leur création cinématographique a commencé avec « Vol de rêve » en 1982 (en collaboration avec Philippe Bergeron), lequel leur a fourni l’expérience de base dont ils avaient besoin pour créer des courts-métrages générés par ordinateur et mettant en jeu un acteur de synthèse fil de fer et l’animation par image-clé. Leur court métrage suivant fut « Rendez-vous à Montréal » généralement considéré comme étant le premier film généré par ordinateur à utiliser des acteurs de synthèse, soit Humphrey Bogart et Marylin Monroe. Ils avaient réussi à mettre au point un système plus poussé d’animation par image clé des mouvements corporels, de représentation du corps au moyen de surfaces lisses et jeté les bases de l’infrastructure d’animation des expressions faciales. Quelques-uns de leurs étudiants et collaborateurs, Philippe Bergeron, Pierre Lachapelle, Daniel Langlois et Pierre Robidoux, ont mis à profit ce travail préparatoire pour produire le film « Tony de Peltrie » projeté dans le cadre de SIGGRAPH ’85, lequel a la réputation d’être le premier film d’animation dans lequel un acteur de synthèse a exprimé des émotions complexes. Par-dessus tout, Nadia et Daniel constituaient une plaque tournante et une source d’inspiration en matière d’utilisation des ordinateurs dans le domaine de l’animation, un secteur florissant dans l’agglomération montréalaise des années 1980; ce fut une période d’intense activité où l’animation par odinateur a capté l’intérêt de l’Office national du film – dont le siège se trouve à Montréal – et où des entreprises commerciales prospères ont été démarrées en vue de développer des systèmes de modélisation et d’animation. Vers le milieu des années 1980, Nadia et Daniel se sont attaqués à des enjeux plus complexes liés à la création d’acteurs de synthèse se rapprochant davantage de la réalité. Leurs publications concernaient des outils mathématiques liés à la dynamique, de meilleurs modèles de surfaçage pour la représentation des visages et des mains, l’animation d’objets à déformations réalistes et l’animation plus naturelle des squelettes et des articulations. Ils diffusaient continuellement leurs idées à l’échelle du Canada et à l’étranger en présidant des conférences, notamment Graphics Interface ’85, et en occupant des postes de rédaction, particulièrement auprès du Visual Computer et du Journal of Computer Animation and Virtual Worlds. Puis, en 1989, ils sont retournés en Suisse où ils avaient accepté des postes à l’Université de Genève et à l’école Polytechnique Fédérale de Lausanne. Nadia a recréé le MIRALab à l’Université de Genève tandis que Daniel fondait le Laboratoire de Réalité Virtuelle (VRLab) à l’EPFL, deux pôles où les travaux démarrés au Canada ont pu progresser dans un contexte européen. En 1992, ils ont fondé la Computer Graphics Society en collaboration avec deux autres pionniers d’infographie, les professeurs Rae Earnshaw (R.-U.) et Tosiyasu L. Kunii (Japon). Ils ont créé, par son intermédiaire, les quatre séries de conférences suivantes de longue affiche : Computer Graphics International, Computer Animation, Pacific Graphics, et enfin, MultiMedia Modeling. Durant la première moitié des années 1990, Nadia a publié divers articles sur la modélisation physique des tissus et sur l’utilisation d’opérations et d’éléments finis reliés aux articulations afin d’aborder la problématique des vêtements portés par les acteurs de synthèse et les déformations réalistes des surfaces des habits. Pendant la seconde moitié de la décennie 1990, la modélisation physique des cheveux est venue s’ajouter à son répertoire de même que la simulation des muscles faciaux par l’intermédiaire de déformations à structure libre et de la synchronisation lèvres-paroles. Daniel a concentré ses propres recherches sur l’animation comportementale des humains virtuels et a introduit le concept de vision synthétique pour ces derniers et a développé des méthodes de modélisation réaliste de la démarche. Au début des années 2000, Nadia et Daniel ont publié VHD++, une plate-forme en temps réel pour la simulation avancée d’humains virtuels, et ont commencé à explorer les techniques de capture de mouvements et les méthodes de rendu des mouvements chez les acteurs virtuels et ce, dans leur environnement. La capture de mouvements a amené Nadia à examiner l’utilisation de données médicales en vue de produire une simulation 3D plus réaliste des modèles d’articulations et de squelettes. Ses publications sur des études relatives à l’articulation de la hanche basées sur l’imagerie par résonance magnétique ont été particulièrement remarquées puisqu’elles lui ont mérité, ainsi qu’à ses étudiants, le premier prix médical Eurographics (2008). à la fin des années 1990, Daniel a lancé son premier projet sur les foules virtuelles, instituant par là même un nouveau domaine d’animation qui attire dorénavant bon nombre de chercheurs. Le rendu de dizaines de milliers d’agents, la détection de collisions et la génération de quantités d’individus sont devenus des enjeux importants. Nadia a mis au point diverses versions du modèle de Marilyn Monroe, chacune plus réaliste que la précédente, et le film « Marilyn by the Lake », produit en 1995, est une de ses premières présentations de Marilyn la virtuelle côtoyant des acteurs bien vivants dans un décor extérieur véritable. Deux films qui alliaient les techniques explorées par Nadia sur le rendu des vêtements, des cheveux, du corps, des articulations, du positionnement dans l’environnement et des interactions entre personnages furent « Rêves d’un Mannequin » et « Virtual Life in Pompeii », tous deux réalisés en 2003. Les travaux de Nadia sur la génération des vêtements par ordinateur ont abouti à la tenue du premier défilé de haute couture virtuel et, en 2007, elle et son équipe de Genève ont réalisé un film primé intitulé « High Fashion in Equations ». Confectionnés dans des tissus exquis et à partir de motifs artistiques, les vêtements de haute couture sont les plus sophistiqués de tous les habits. Ces articles de facture originale que seule peut se permettre une clientèle fort restreinte ne sont pas de simples enveloppes du corps humain mais encore des œuvres d’art manifestant des tendances et aspects culturels. Les vêtements haute couture historiques se caractérisent par une dimension supplémentaire : la manifestation des détails vestimentaires associés à des époques particulières exige des modèles d’une complexité bien plus grande que ceux utilisés pour les vêtements ordinaires. Les recherches que Daniel et Nadia ont effectuées individuellement et collectivement se sont élargies pour dépasser le seul domaine de l’animatique; elles explorent, dorénavant, la manière dont leurs résultats peuvent faire progresser la médecine en exploitant les données obtenues par IRM, celle dont elles peuvent faciliter la reconstitution de scènes historiques, celle dont leurs modèles peuvent être utiles à l’industrie de la mode et enfin, leurs répercussions sur le plan de la réalité virtuelle. Les contributions de Daniel et de Nadia ne se limitent pas à la sortie de courts métrages et à la publication d’articles scientifiques. Ils ont tous deux joué un rôle actif au niveau de l’organisation et de la direction d’une bonne cinquantaine de conférences internationales en infographie et ont assumé des fonctions de rédacteur et rédactrice pour le compte d’une douzaine de revues scientifiques internationales. La Société canadienne du dialogue humain-machine est ravie de reconnaître que tout ceci a son origine dans leurs débuts à l’Université de Montréal et que de là, leur influence s’est étendue à travers le monde.